I’m sick of blogging about the same places everyone else is blogging about, almost as much as I’m sick of people fooling themselves that their #cleaneating New Year’s resolutions are going to last beyond next week. It’s for these reasons—and to curb your carb cravings—that I want to introduce you to The Little Hungarian in Caulfield South. You’ll either know it or you won’t, it’s as simple as that. The small, busy restaurant has been on our family radar since it opened in 2005 due to our love for Eastern European fare (it’s in our blood, after all). As far as I’m concerned we don’t eat there nearly often enough. We visited one Friday night, shocked at how long it had been since we’d visited and thrilled that not a single thing had changed. Elizabeth Csuka is the woman in charge of the restaurant and the kitchen, and her home-style cooking is spot on. The interior isn’t worth talking about, unless you want to discuss how it epitomizes that The Little Hungarian is 100 per cent down to earth and not trying to be something it’s not, unlike the trendy new restaurants popping up Northside and in Melbourne CBD. The food on the other hand is everything it purports to be: nothing fancy, damn tasty, and just like mother used to make it. Servings are up there with the biggest in town. 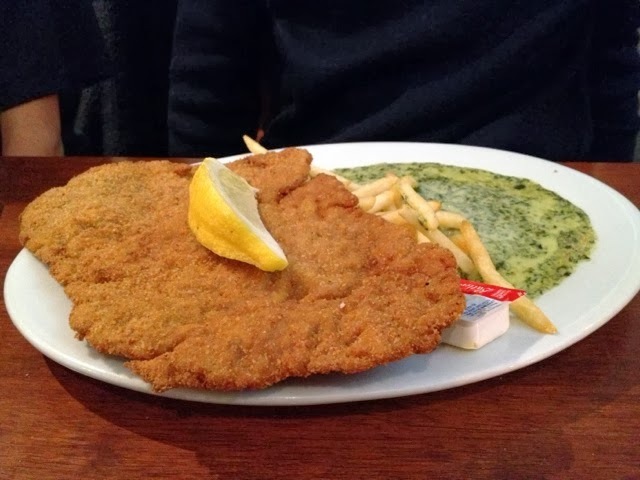 Whenever we visit, the boys in the family can’t go past the schnitzel, which looks as if it was taken from a prehistoric beast. 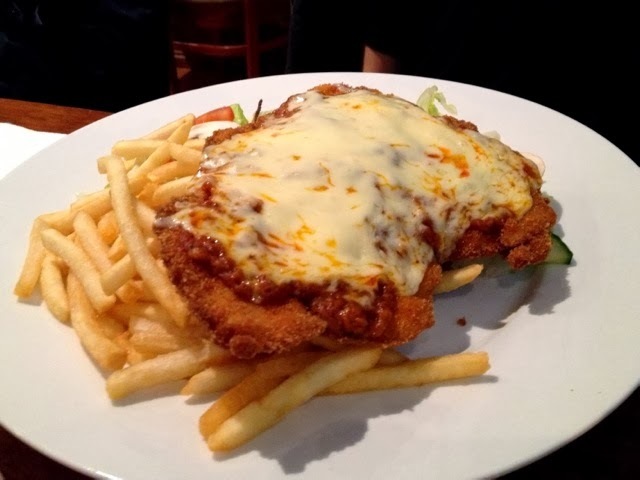 Order wiener, chicken or veal, either plain, topped with an endearingly overcooked fried egg, or slathered in a thick tomato sauce and blistering, melted cheese, parmigiana style. Mains are accompanied by salad or creamed spinach, and mashed potatoes or average-but-moreish fries. It’s completely up to you what you choose, but if you don’t order the spinach, you’re clinically insane. As the proud granddaughter of a grandmother who used to make the best chicken soup in the world, I urge you: order the matzo soup. The bowl is gigantic, so you can easily have it as a main or share it as a starter. It’s quite possible my nostalgia for matzah balls (I say matzah, they say matzo, but apparently you can also say matzoh and even matza) influences my judgment, but assuming you’re here for my opinion, they’re delicious dumplings made from matzah meal, eggs, water, and chicken fat or oil or margarine that sit in your stomach for hours, filling you to the point where you hysterically alternate between laughing and crying. You’ll get three giant balls in a rich and wholesome chicken broth, half-heartedly spiked with parsley and carrot slices. The pork goulash with sauerkraut is probably the signature dish here, but I ordered the toltott kaposzta (cabbage rolls) and resztelt csirkemaj (chicken liver onions) to share with mum. 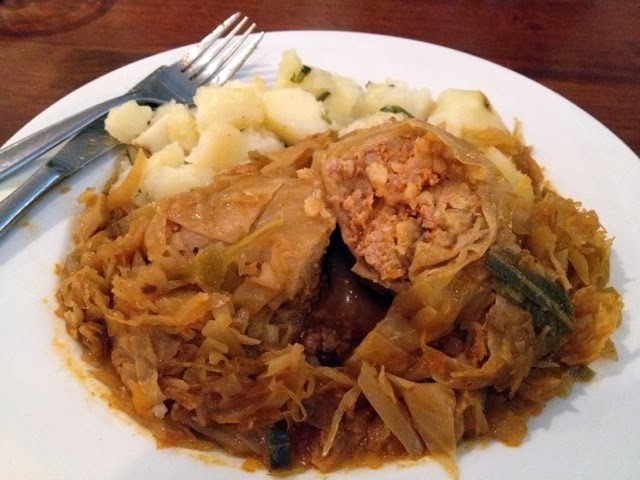 The cabbage rolls were stuffed with rice and meat and slopped on potatoes. 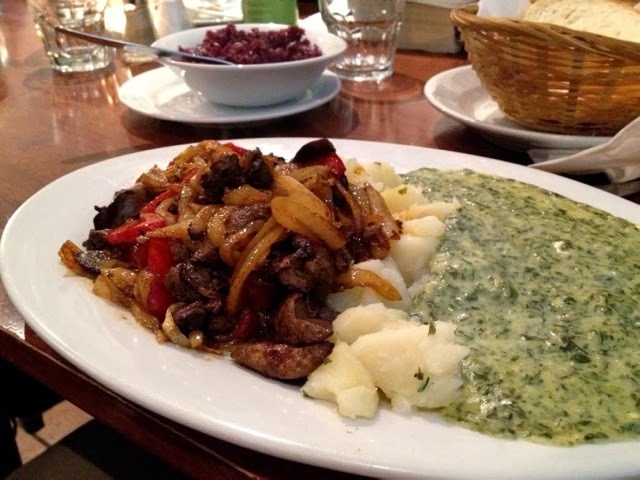 It remains the ultimate comfort food and is washed down brilliantly with one of the many Hungarian beers on offer. You can also BYO wine and corkage is only $2. 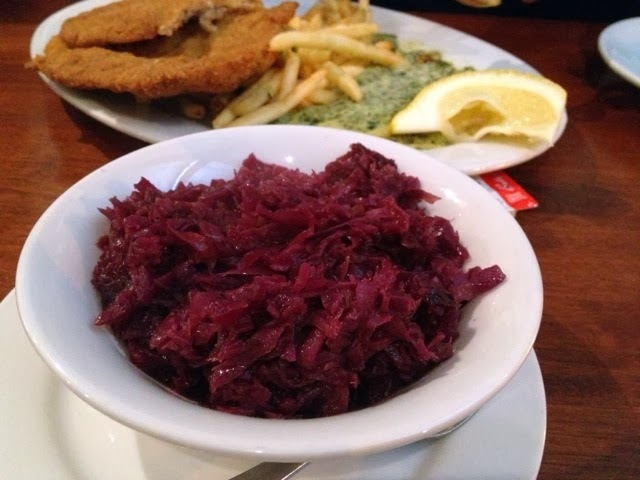 But the liver was my favourite, all creamy and rich, sweet with onion and balanced by the pickled red cabbage we ordered as a side. 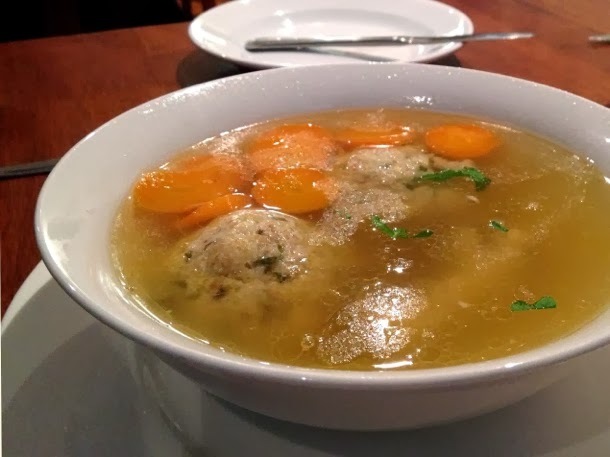 Writing about it makes my stomach growl (or maybe the matzah balls are still in there). Take advantage of the daily specials menu. If you're visiting on Wednesday, the plum or apricot dumplings are a must. You can also order smoked pork shank, or on Thursday, roast duck. But locals know that the dry bean soup, available only on a Friday, casts a shadow over the rest of the menu by comparison. Crepes won't disappoint come dessert, paper thin with chocolate, walnuts, creamed cottage cheese, jam or lemon and sugar. If you manage to fit dessert in after dinner, call me. I’ve been looking for a +1 who can keep up for years. I adore the complete lack of finesse, vegetarian options and hipsters at The Little Hungarian. It’s almost as if they don’t care what your food looks like (take the individual butter packets and creamed spinach slosh for example), so long as it’s big and you don’t go home hungry they’ve done their job. The Little Hungarian gets pretty crowded, so it’s worth booking ahead. And if it’s not your cup of tea, all the better for those of us who love it.